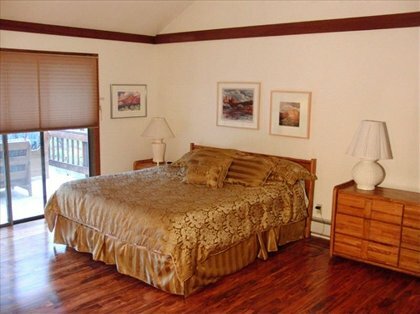 LAKE TAHOE - INCLINE VILLAGE Large, very spacious Executive GOLF COURSE home. 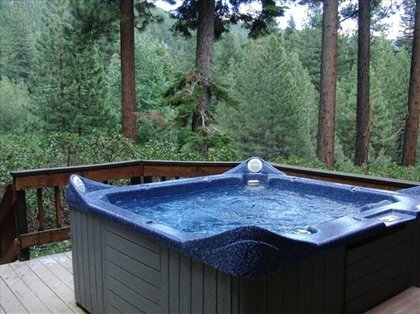 3 1/2 baths, 6 PERSON HOT TUB COMPLETE WITH BUILT-IN SURROUND SOUND INCLUDING AM, FM & CD. New Gas Barbecue! 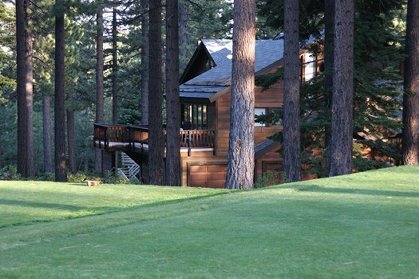 Located on the 15th tee of the Incline Village Championship Golf Course. Private cul de sac...no through traffic! The setting of this special home is pure magic. 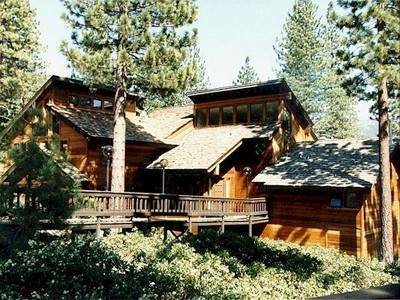 It is surrounded by tall pines and wonderful views! PRIVACY FOR EVERYONE IN YOUR GROUP. 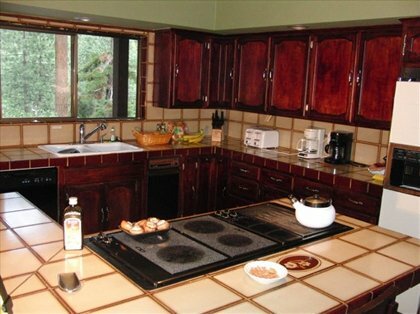 The home has 3 levels, 3 large inspiring view decks, friendly spacious island kitchen with glass top Jennaire cooking center that seats 5, formal dining room with table that seats 12, very large living room with stone fireplace, 47' HDTV, DVD, VCR, piano and wet bar. 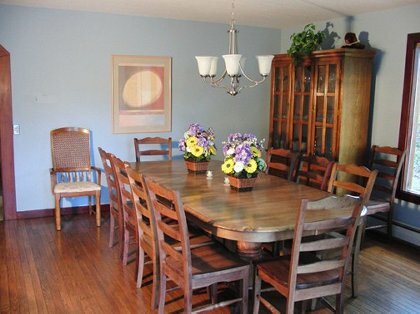 The home has ample sleeping accommodations including spacious master suite with king bed, televison, large bathroom with private Jacuzzi, separate tiled shower with handicap bar, double sinks. 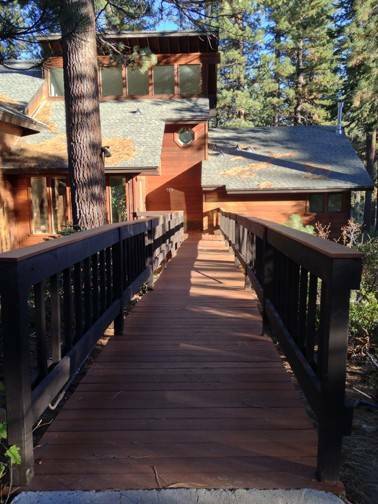 A spacious executive home, it features 5 bedrooms, 3 ½ baths and delightful scenery from all 3 decks and every window. 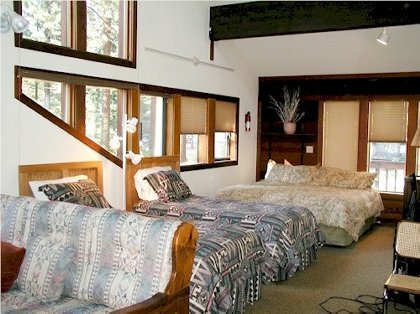 This tri level 4000 sq ft home can sleep up to 16 people with privacy for everyone. On a private cul de sac with no through traffic. Magical location! See owners web page www....com for current rates. We offer last minute discounts depending on availability. Deposit: 1.2 at time of booking and remainder 60 days before occupancy. Cancellations and Refunds: See owners web page for cancelation policy in detail. Required Stay: Varies with season.